Melissa Muñoz, a Master of Science student at Clemson University, was awarded the 2018 Paul Ecke Jr., Scholarship Award — a $10,000 scholarship ($5,000 for two consecutive years). She will be continuing for her Ph.D. upon completion of her Masters degree. “There were a record number of applications for the second year in a row, which shows the growing interest and need for these scholarships. The high quality of students is a testament to their exceptional determination and passion, and I am confident these future leaders will help the industry progress,” said Greg Royer, AFE Chairman and Education Committee Chair. Melissa Munoz, 2018 Paul Ecke, Jr.
Melissa graduated from the Universidad Nacional de Colombia sede Medellin in 2016 and is currently enrolled in the master’s program at Clemson. 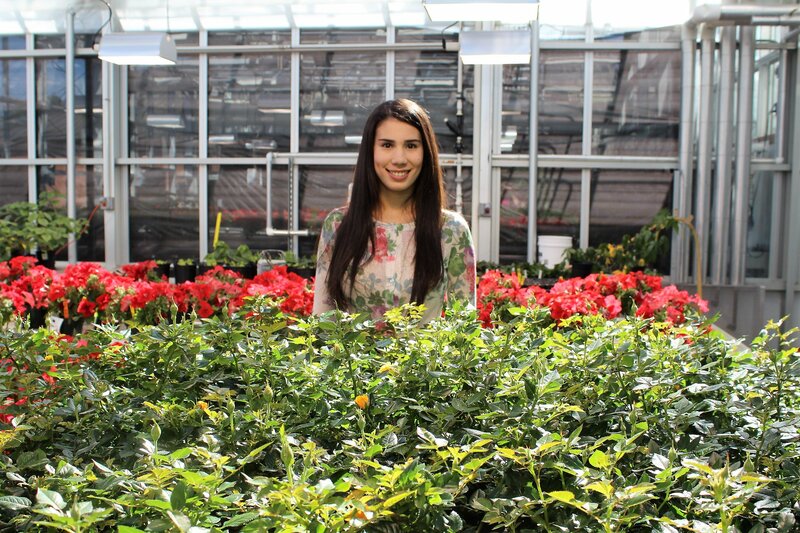 Her research project focuses on the management of Botrytis in cut roses, a huge problem facing growers that costs the industry hundreds of thousands of dollars annually. She works directly with cut rose growers, visiting farms and evaluating incidence from commercial shipments to effects of cultural practices in the greenhouse. AFE is funding a Botrytis research project that is the focus of Melissa’s research program. She is working with Drs. Jim Faust and Guido Schnabel on this project, and she presented her preliminary research findings on behalf of the Endowment during the Proflora 2017 event in Colombia to a standing-room only audience of nearly 150. “She is doing really good research that will benefit the industry worldwide”, says Terril A. Nell, AFE’s Research Coordinator. Beyond pursuing her Ph.D., her career goals include continuing and expanding her Botrytis research and eventually becoming a researcher, educator and scientist. Melissa says “The floriculture industry constantly faces complex challenges that require prompt and effective solutions, and I’m determined to keep working to develop these solutions. The Paul Ecke, Jr. 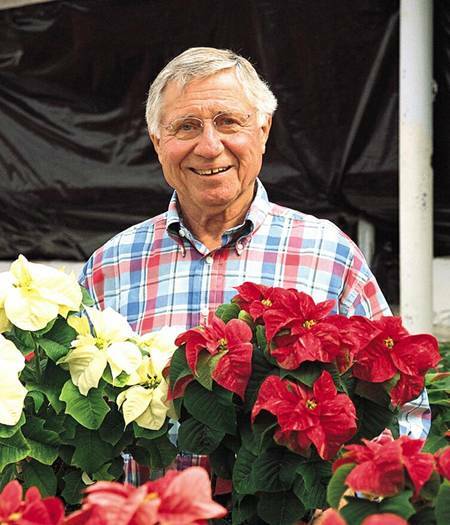 Scholarship was established in 2010 and honors the late Paul Ecke, Jr., who made significant contributions to the floriculture industry and believed strongly in research and education. He recognized that creative scientists and educators are required to lead the floral industry in the 21st century and beyond. This merit-based, prestigious scholarship has been funded by industry contributions and the Ecke family to assist in funding the education of floriculture graduate students (MS or Ph.D.) at land-grant institutions, who will become leading floricultural scientists and educators. The 2017 Paul Ecke, Jr. recipient, Kaylee South, The Ohio State University will receive her second year of funding for this two-year scholarship.